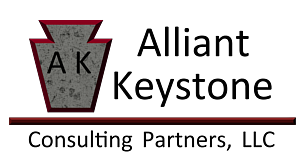 Alliant Keystone’s team of professionals have a unique combination of Functional, Technical and Business expertise. Our subject matter experts come from a wide variety of industries and possess hands-on business knowledge. Our Information Technology (IT) consultants have decades of experience implementing and supporting Commercial Off-The-Shelf (COTS) products from companies like Oracle®, P2®, SAP® and Workday®. Our team of IT professionals have a full understanding of the Software Development Life Cycle and apply all aspects to both custom software development and implementation of Commercial Off-The-Shelf products. Our Information Technology backgrounds ensure we can provide our clients the expertise needed to design and implement cost-effective solutions for their business. Our primary objective is to ensure that our clients have the right information to make the right decisions at the right time for their business. We do that by listening to our client’s challenges, asking questions to ensure we understand the problem, translating those requirements into a clear roadmap for success and offering solutions based on industry leading practices and our personal experiences. Alliant Keystone helps clients utilize Information Technology to maintain leadership, competitiveness and success. Emphasis is placed on following industry standard Project Management principles to ensure that our clients projects are delivered on time and under budget. Identifying metrics and indicators of performance is essential to improve IT operations and ensure service quality. Alliant Keystone helps clients respond quickly to economic, strategic or technological changes by utilizing a flexible workforce. We offer highly-skilled professional consultants on a temporary or project basis. Based on our clients needs we can provide Project Managers, Business Analysts, Developers, Testers and Trainers. Our Consultants are thoroughly reviewed before being presented for any client assignment, allowing for cost savings, risk management and ensuring the right match for each client.